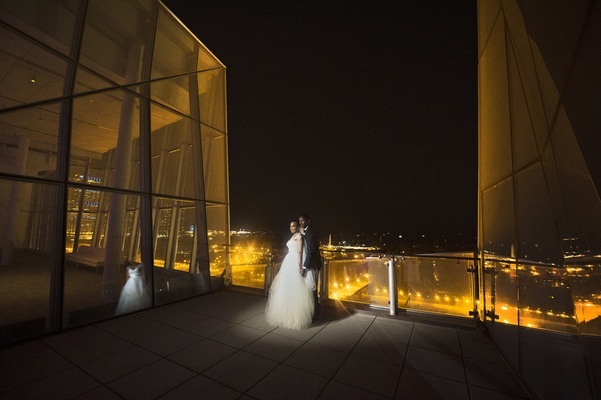 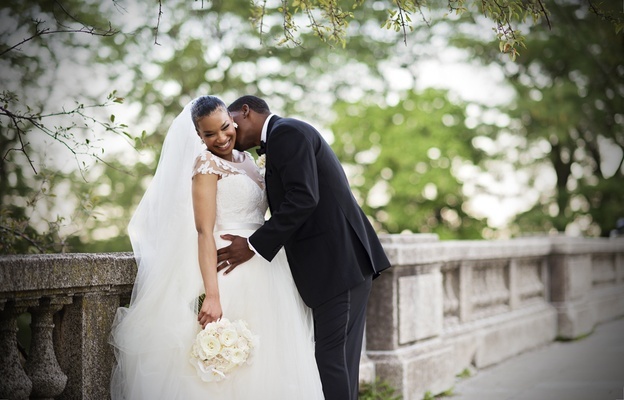 From their first date, it seemed like Sarah Wilkins and Christopher Raggs had been together forever. 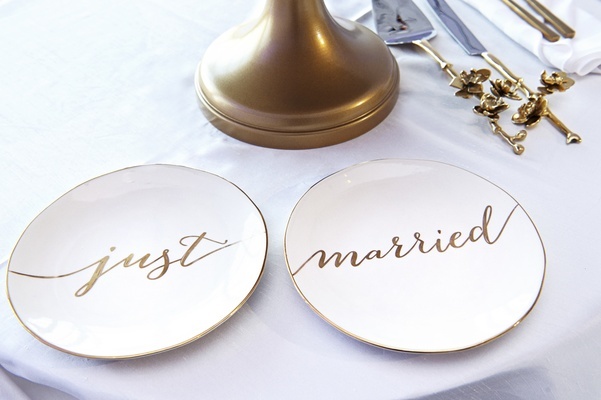 “Our server thought we were married, even,” Sarah notes. 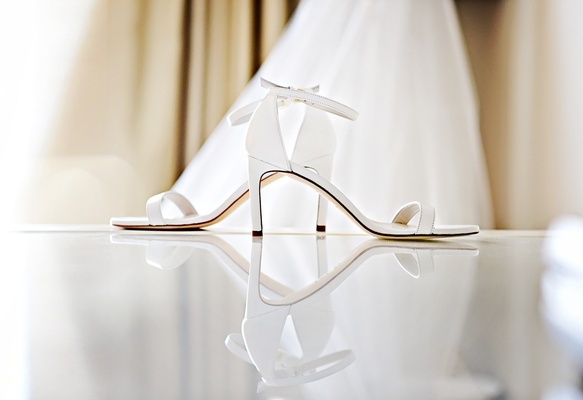 It wouldn’t be much longer until they were. 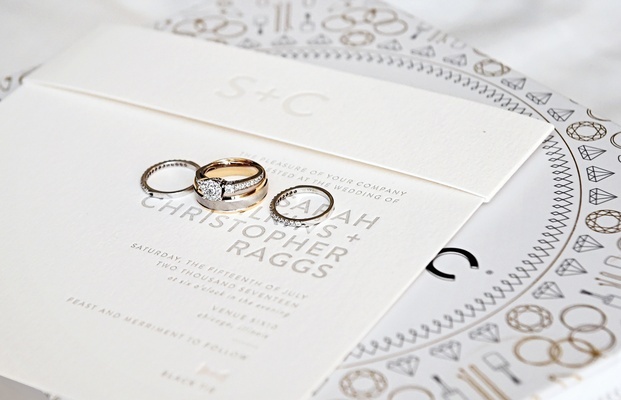 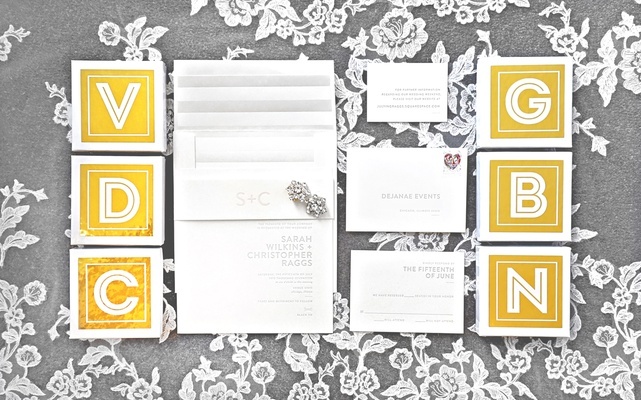 Three months later on her birthday, Chris gave Sarah a heartfelt birthday card before popping the question. 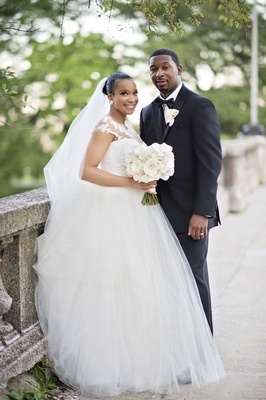 Just over a year later, they tied the knot in Chicago. 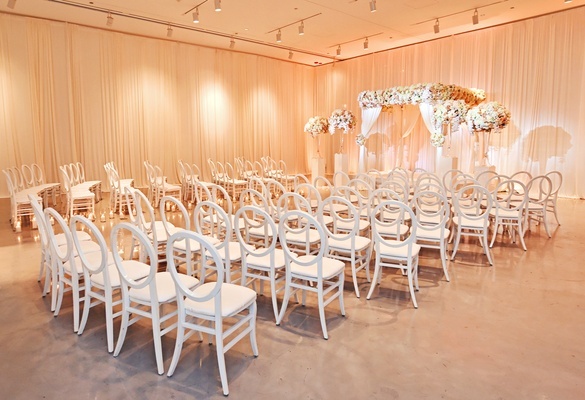 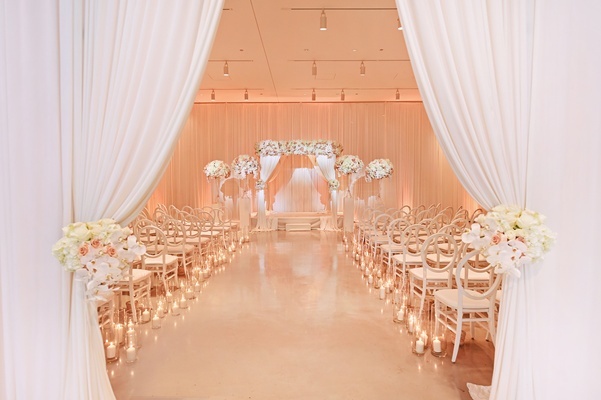 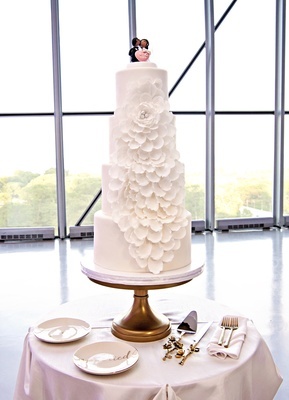 In a room awash with peach uplighting, the bride walked down the aisle arm in arm with her mother. 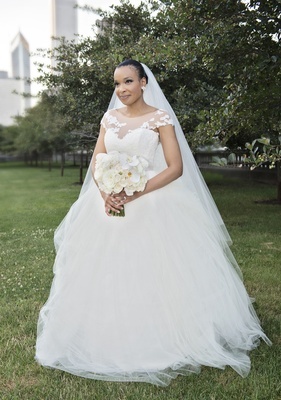 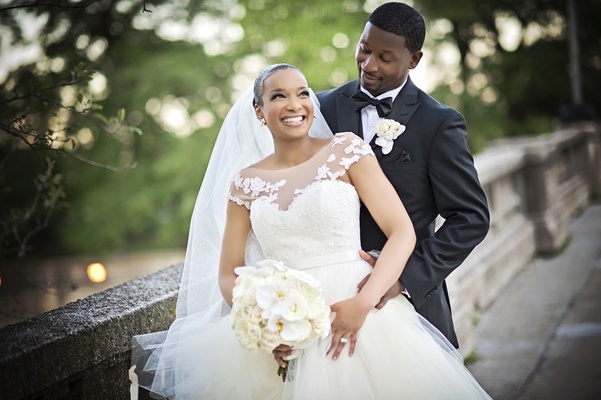 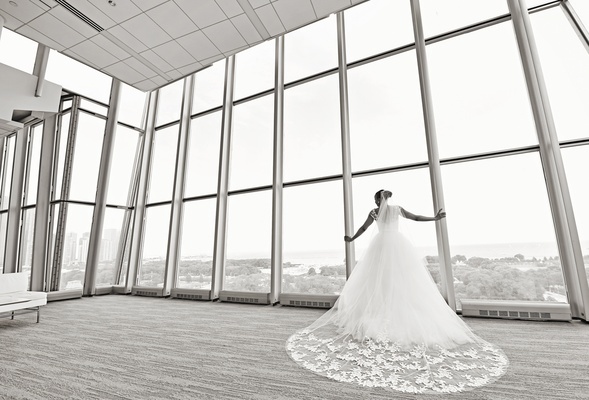 Sarah wore a romantic gown by Legends Romona Keveža from Bella Bianca Bridal Couture with a full tulle skirt and an illusion neckline with cap sleeves and floral embroidery. 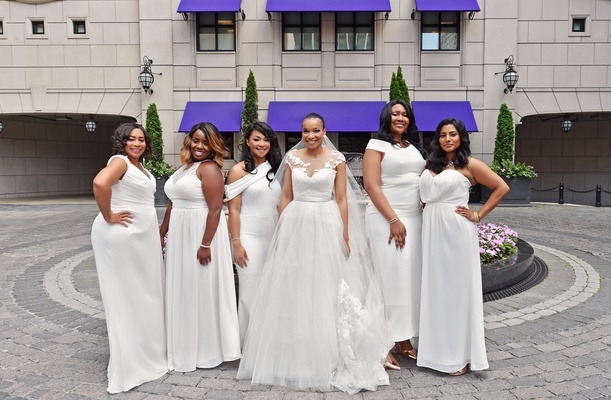 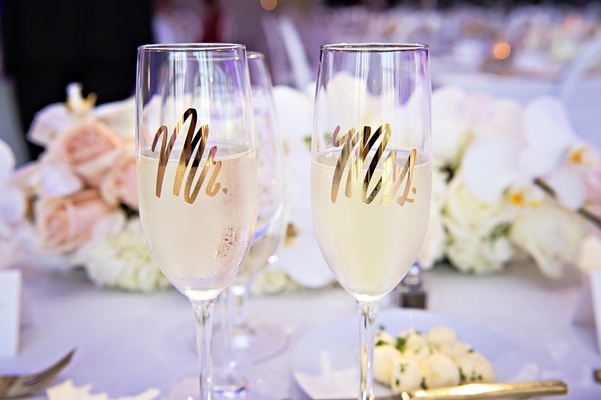 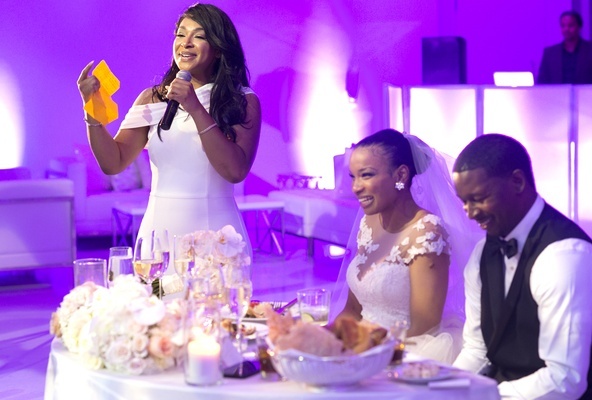 Her bridesmaids were chic in white floor-length gowns with varying necklines, while her soon-to-be husband and his groomsmen were sharp in classic black tuxedos. 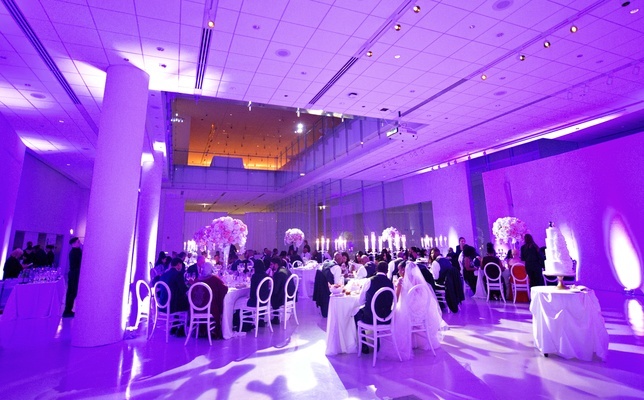 The reception featured a similar floral design to the ceremony, but with violet uplighting to add to the nighttime atmosphere. 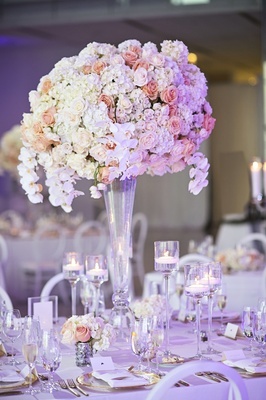 Square tables were adorned with tall centerpieces featuring clear vases with lush blooms in shades of white and peach accents, with cascading orchids as the finishing touch. 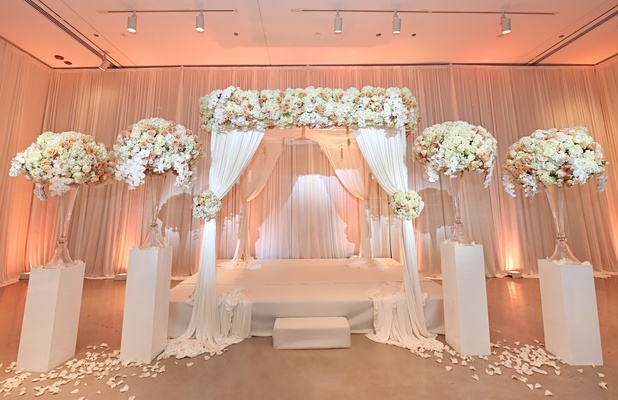 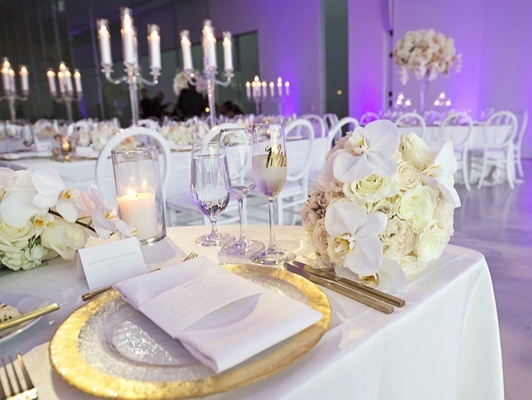 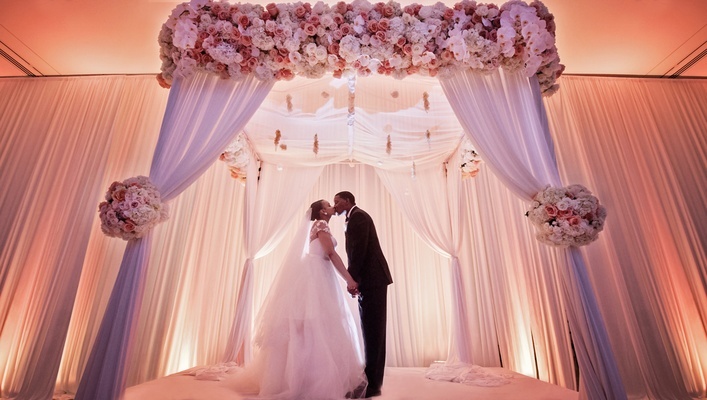 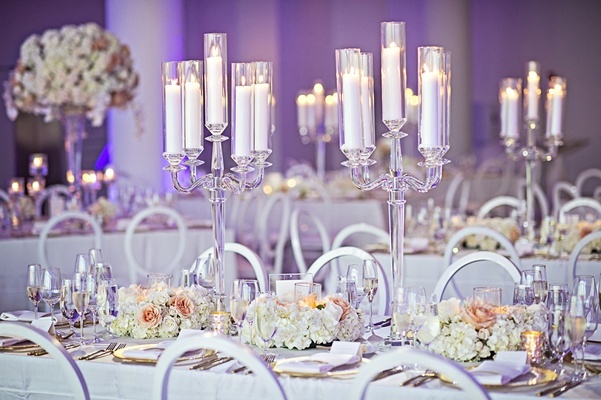 The longer rectangular tables were topped with beds of fresh blossoms surrounding three crystal candelabra with cream pillar candles ensconced in hurricanes, which were beautifully captured in photographs by Carasco Photography.